Sports – R.I.P. 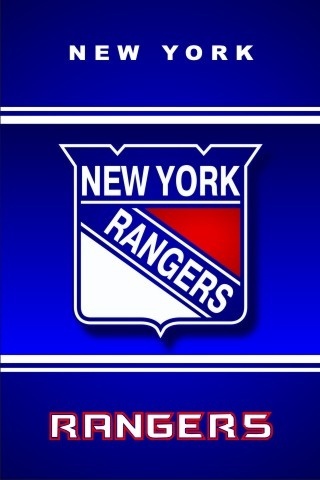 2011-2012 New York Rangers…. So I have had a couple of days to digest the Rangers devastating, season ending game 6 loss, in the Eastern Conference Finals, to the um, um… Devils (that was a hard one!). I want to make a few observations before turning my attention to football (J-E-T-S). First, as much I hate to admit it the two best team, in this year’s playoffs, will be playing for the Stanley Cup. The Kings are an awesome 12 and 3 in playoffs while the Devils are an impressive 12 and 6. While they may only have been the 8th and 6th seeds respectively going in to the tournament they have certainly proved that they deserve to be where they are. Now can I get a “KINGS IN FOUR”? Second, while the Rangers had a remarkable run getting this far they finished the post season 10 and 10. Larry Brooks in The Post had it about right when he wrote yesterday that while watching the Rangers this post season you never got the feeling that you were watching the best team in hockey and one destined to win the Stanley Cup. I think the reason the Rangers were eliminated is because when all is said and done their overall level of talent was not where it needed to be. They were the hardest working team in the playoffs and throughout the regular season but that need to fight for your life each and every shift ultimately took its toll. Fortunately for them Lundquist was able to steal more than his share of games for his team. Unfortunately, his teammates were not able to return the favor. Lastly, what makes Friday night so difficult to swallow is that it represents a missed opportunity. As happy as I am about their run this year there is no guarantee that they will be able to duplicate the effort next year and win The Cup. On paper the future should be a bright one. They have the best goalie in the league. They have a young and extremely talented defense. They have some promising players on offense (just not enough of them!) and they have a good coach. Added to which I think they will look to improve in the off season (I think Zach Parise would look good on our number one line). So while the pieces should be in place for another run and Ranger fans should be full of optimism for the future the unfortunate truth is that has not been their pattern. This was the first time in 15 years they’ve made it this far and they have won a mere two Stanley Cups over the past 72 years while the Devils might be on the verge of their 4th in 18 years. I will do something uncharacteristic for me and that I think the Rangers will improve their team in the offseason, that they will make another deep run into the playoffs and that in a little over a year from now Captain Ryan Callahan will raise the Stanley Cup over his head in front of the Madison Square Garden faithful! Until then LET’S GO RANGERS!